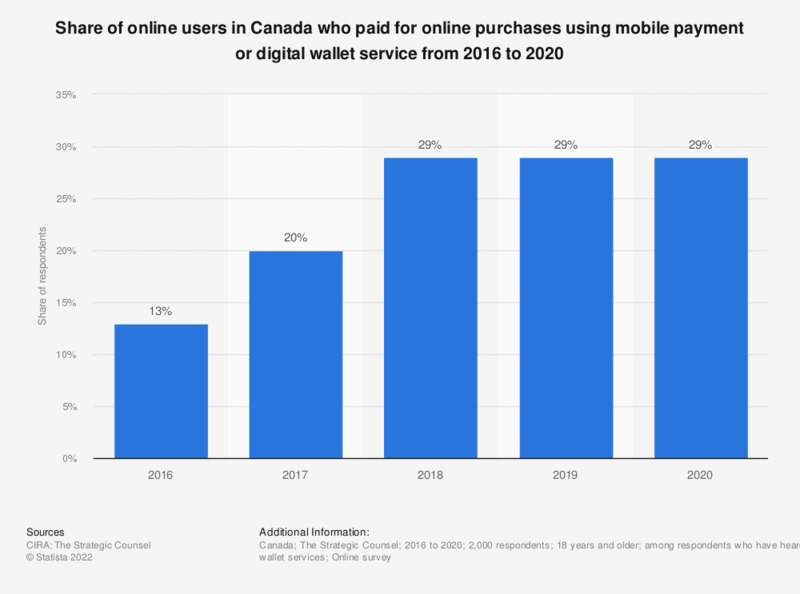 This statistic shows the share of Canadian online users who paid for online purchases using mobile payment or digital wallet service from 2016 to 2018. During the March 2018 survey, it was found that 29 percent of respondents had used such services to pay for online purchases, nine percent more than in the previous year. What types of purchases have you made on your smartphone?